In small bowl, combine dressing ingredients. 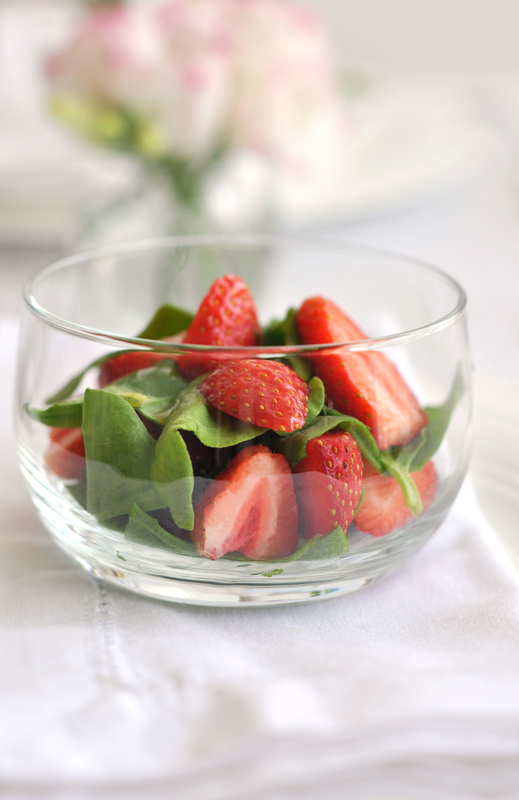 In a salad bowl, toss spinach with dressing. Variations: *Add halved seedless grapes or substitute them for strawberries *Add 1/4 cup slivered almonds Recipe by: 15 Minute Vegetarian Gourmet Posted to MC-Recipe Digest by Meg Antczak on Apr 19, 1998.